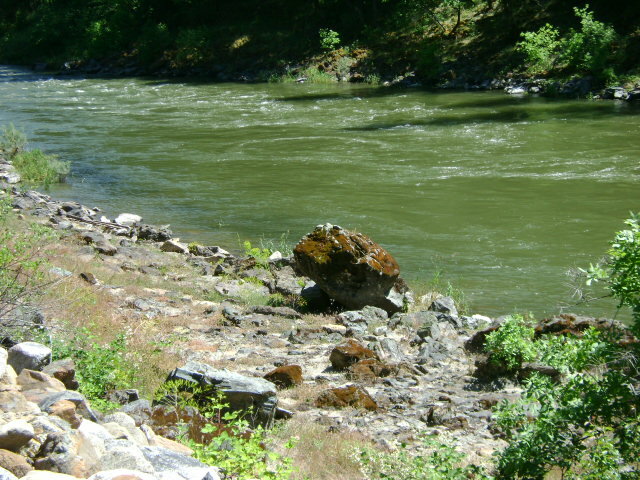 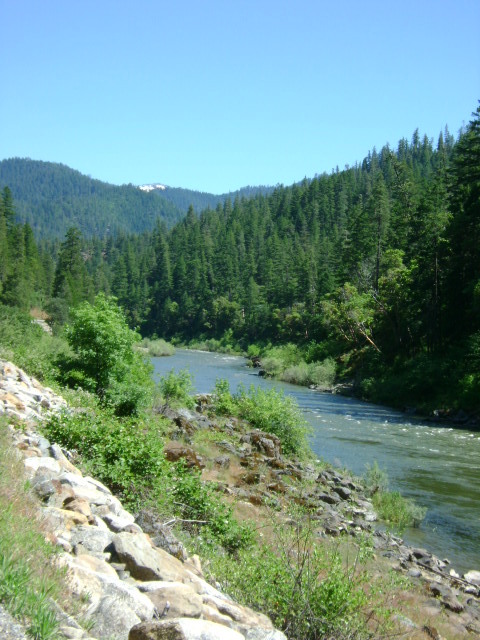 K-13 AND K-14 LOWER SEIAD & PORTUGUESE CREEK CLAIMS – are located just upriver from the confluence of Portuguese Creek-which is approximately 3 miles downriver from where Highway 96 crosses Seiad Creek. 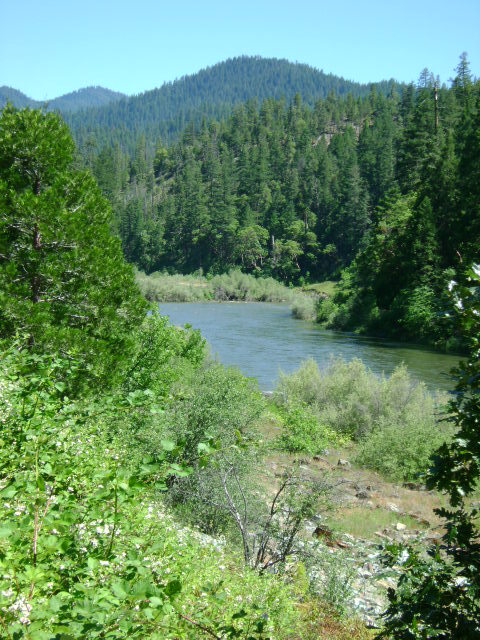 Boundary signs posted on trees mark the downriver (mile marker 57.14) claim boundary. 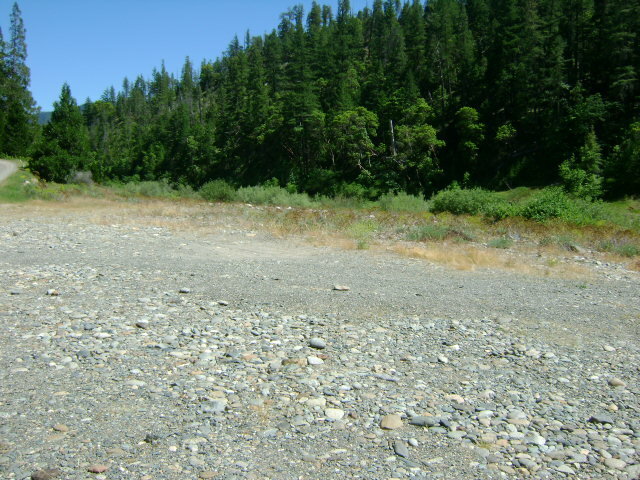 The upriver claim boundary (mile marker 59.14) is posted on a tree around 2 miles upriver. 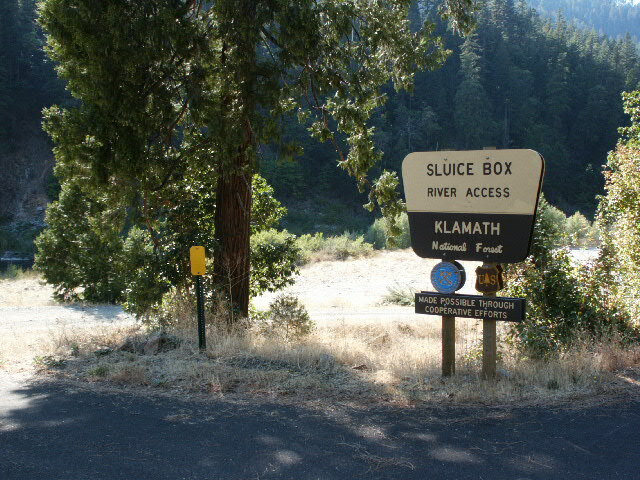 There is a river access on the claim named “Sluice Box”, with a small campground, just downriver from Seiad Valley. 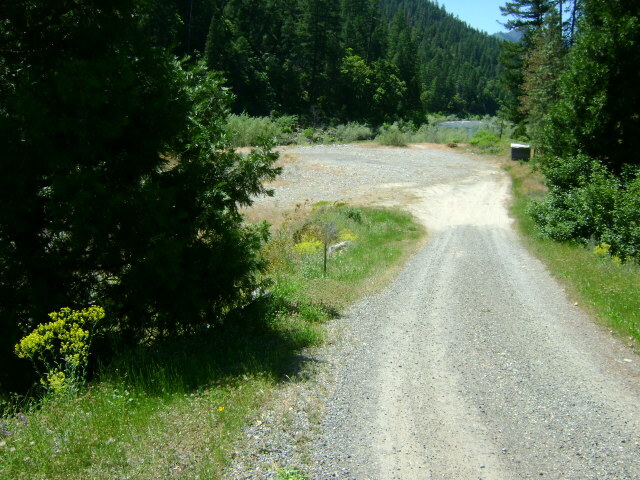 Longer-term camping is available to members on the gravel bar area toward the upper end of this claim. 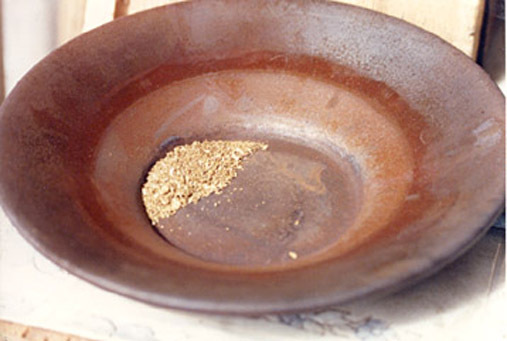 PROSPECTS: These claims have been very good gold producers for members of our Club. 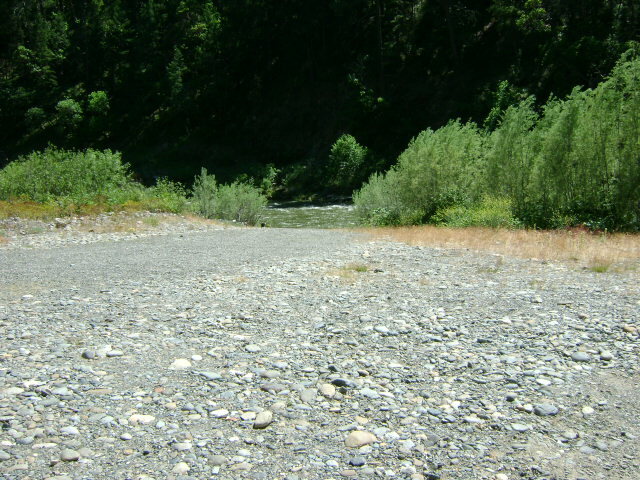 Much of the gravel is reasonably shallow to bedrock. 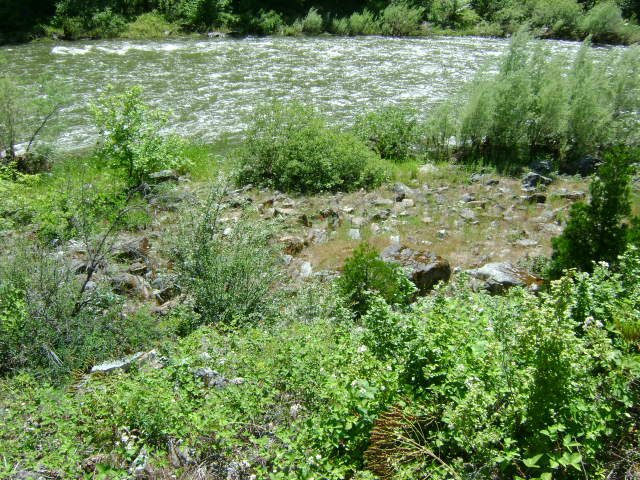 Lots of nuggets and jewelry gold have been recovered off the property, from the top end, to the bottom, mostly off the far side of the river. 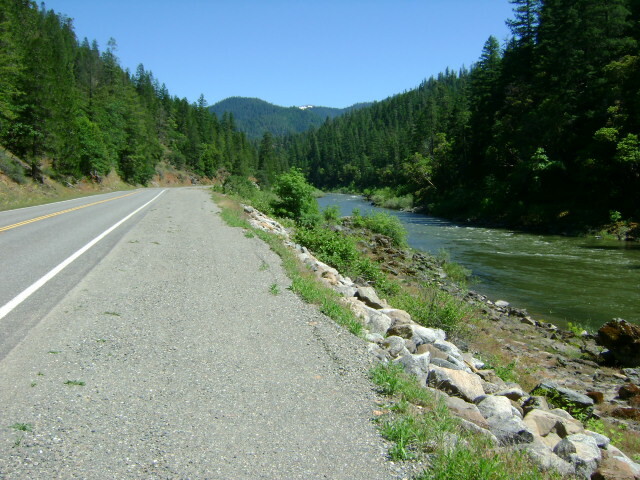 Fine and flake gold seems to concentrate towards the road-side of the river. 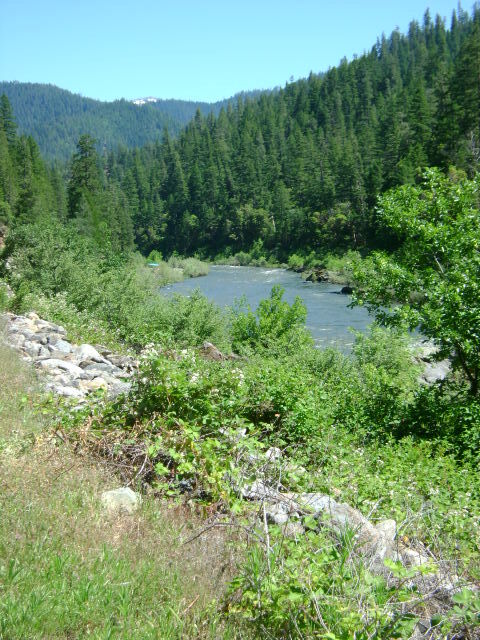 In addition to sampling which members have done on this claim, we also confirmed this on a Group Mining Project where we also had quite a challenging adventure trying to recover beautiful gold nuggets from a deep water location. Most of the claim has yet to be adequately tested. 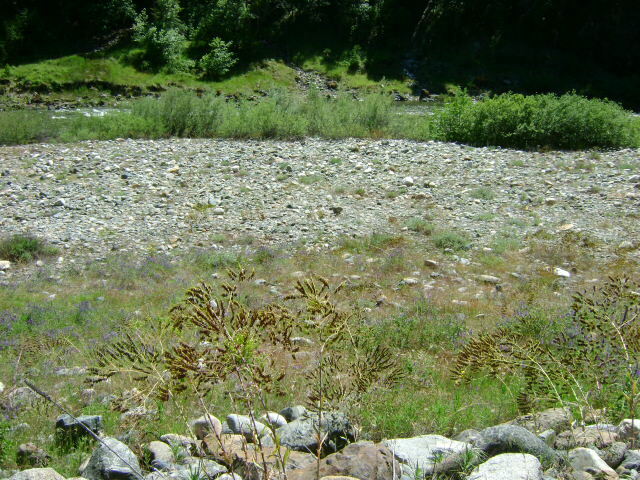 The gravel bars on the far side of the river provide some of the Club’s best surface mining opportunities.